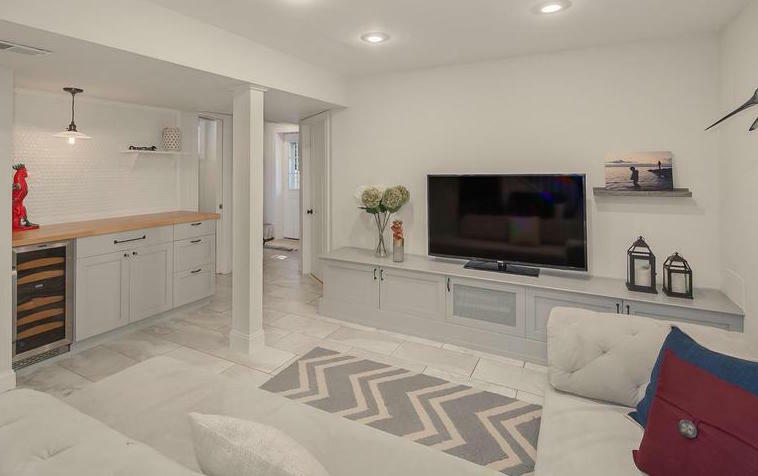 When we finished our basement, putting in Ikea hacked built-ins and making the dry bar (among other things!) I was trying to do something a little different with the paint scheme to get out of my comfort zone. The color we went with was Benjamin Moore’s Halo. I liked it at first, but maybe because the sofa blends right into the wall, it’s beginning to feel like I’m suffocating in beige. While I’m not yet amped to repaint the entire room-although getting there-I’ve been looking for ways to add pops of color. 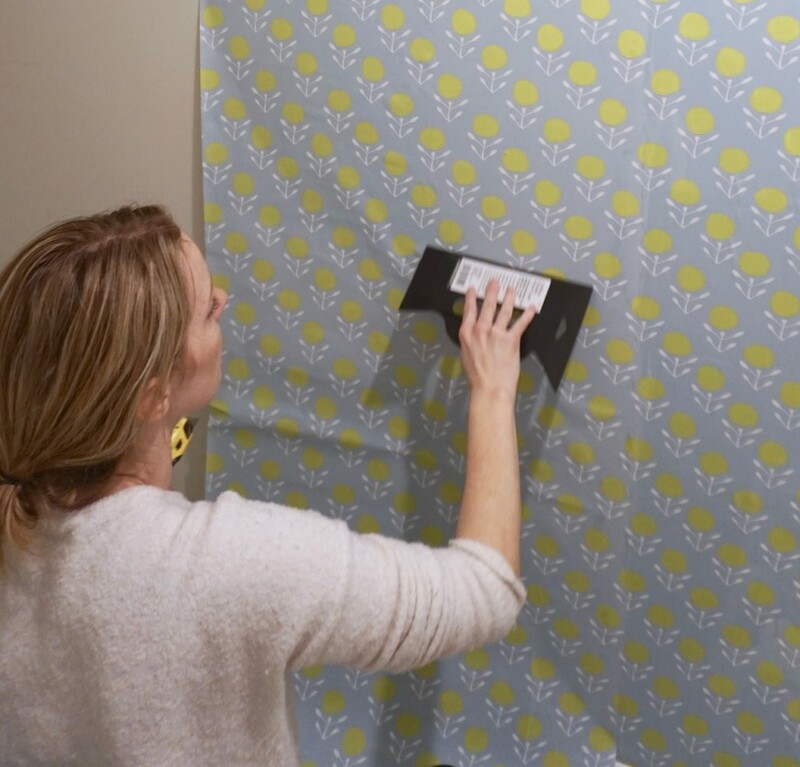 So, when I found this beautiful aqua and daffodil colored wallpaper from Serena & Lily, it seemed like a great way to breathe fresh air into the space. 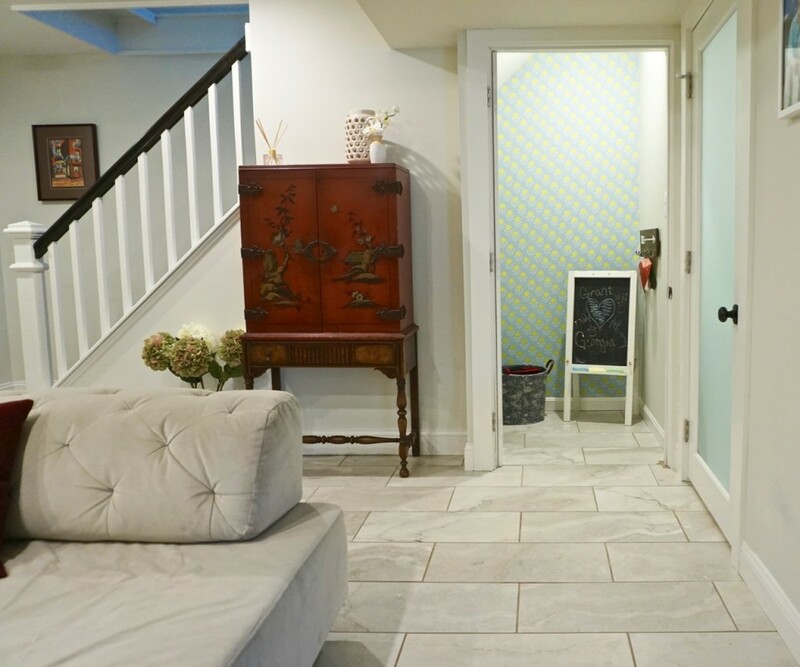 This being the first time I’ve ever wallpapered, I chose the closet under the stairs as a place to start. Worst case I could close the door and forget about it, right? This Old House has a great step by step tutorial that I used as a guide. 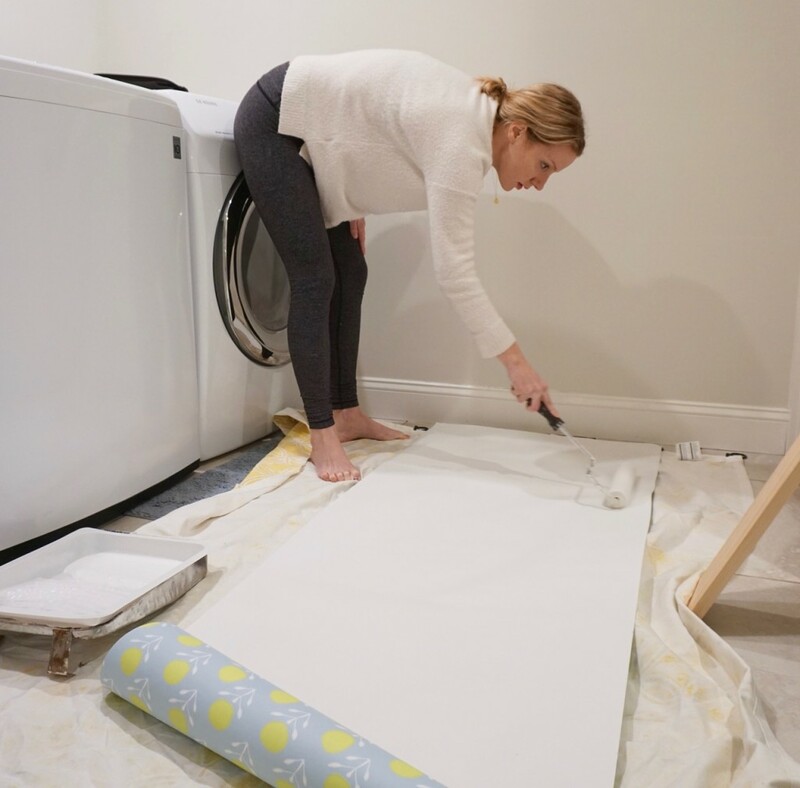 After first prepping the paper by covering the back in paste, I then “booked” it, folding the wallpaper over itself and rolling it up, which helps the glue to set and makes transport from the pasting room (aka laundry room) to the closet, easier. Getting the first piece set and straight was a little tricky, but after that it was only a matter of matching the edges while moving down the wall. Each piece had to be smoothed down with a wallpaper tool, which was probably the most tedious part. The biggest bubbles seemed to occur where I had used too much paste. I’m loving the added color. 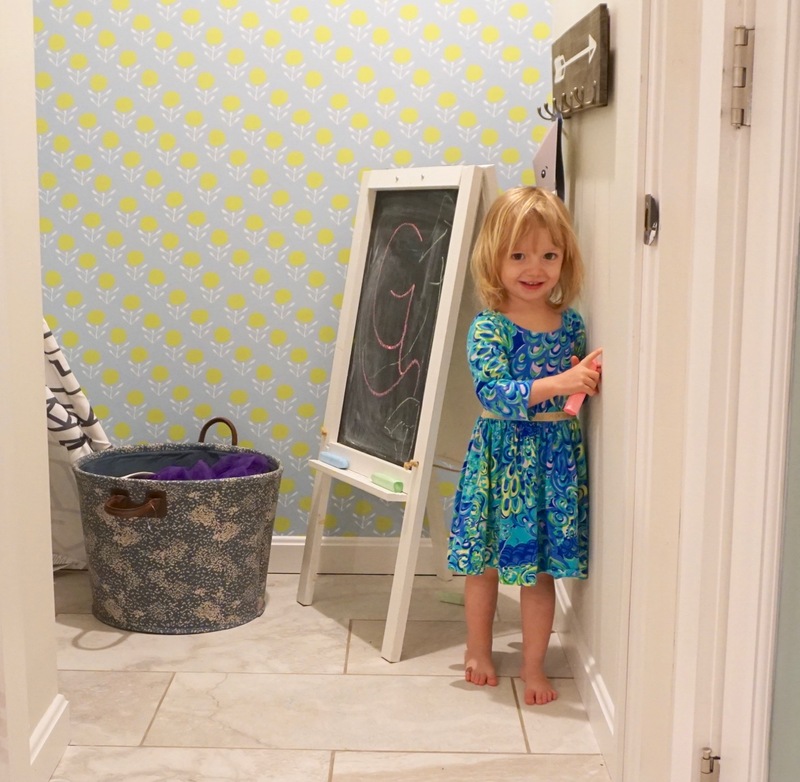 I even had Jason take the door off the closet so the kids can easily run in and out while they’re playing. It also allows the bright colors to be a permanent presence in our sea of beige. 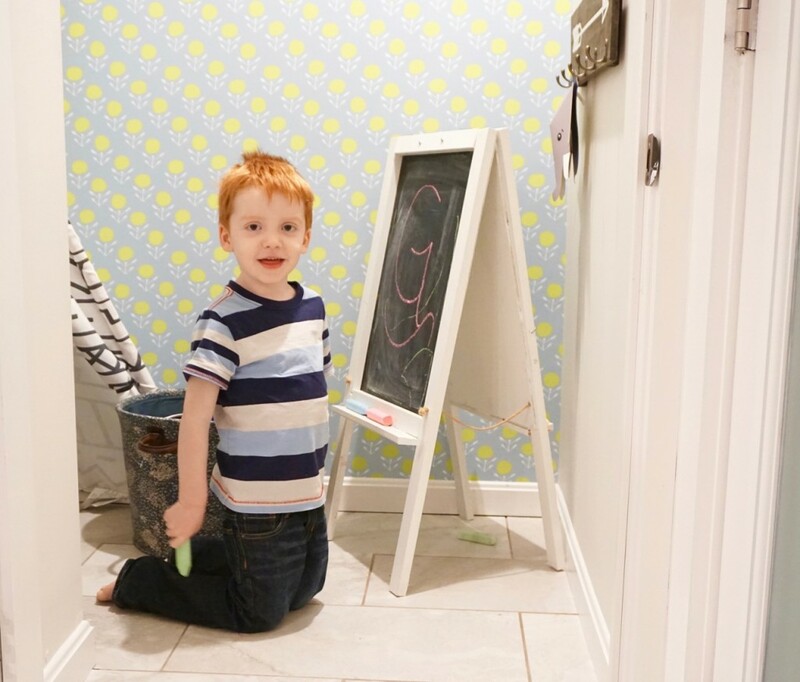 Our new Harry Potter closet, as the world’s cutest red head likes to call it, is a perfect addition to the basement. 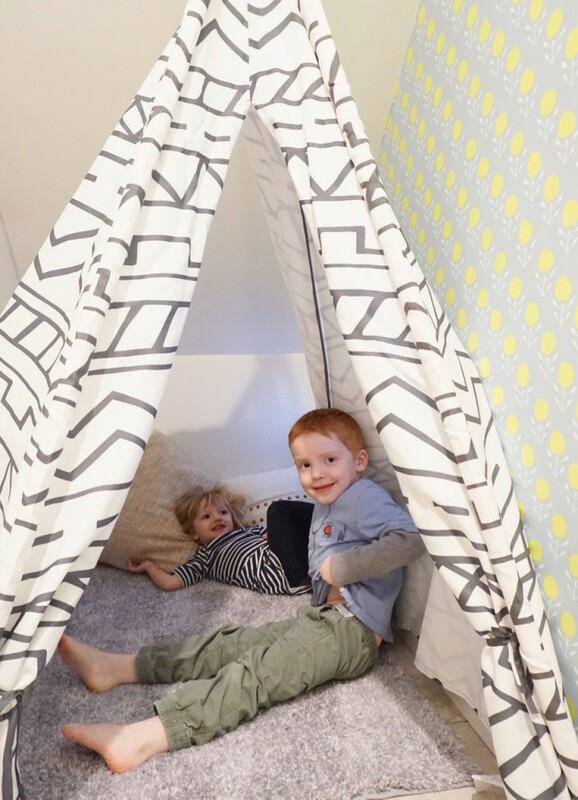 This teepee from Target makes the nook feel extra cozy for the little guys. I cut a slit into the back so that they can utilize the entire space. Things are a little brighter, right? And that is never a bad thing!